Floods and water leaks hit you when you least expect it-all of a sudden your home is disrupted, your property in shambles. If you have been hit by flood damage, you will want to get help fast. Call on our professional water restoration company to get things back to normal as quickly as possible. You must respond swiftly to water and flood damage! For this reason we have an emergency team at your service in the event you suffer water damage. We are ready to help you meet this challenge successfully. We at Los Angeles Carpet Cleaning .us understand that you may have been caught unprepared to respond, when recovering your losses is critically important. Call For Professionals - Our qualified technicians employ ultramodern drying methods to restore your home and salvage your belongings. We will come to your home and dry it down. We have at our disposal advanced moisture-detecting instruments that can spot the most minute signs of dampness-even behind walls and under floors. Speed is of the essence, because mold, mildew and other microorganisms start to build up in the presence of water. Professional water damage restoration methods call for the use of advanced air movers that propel large quantities of air along floors, carpets and walls in order to reduce drying time. If air humidity becomes a critical issue, commercial dehumidifiers can be brought in. Los Angeles Carpet Cleaning .us will give you an honest, no-nonsense estimate. There will be no unexpected or hidden costs whatsoever. 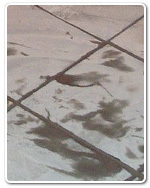 Los Angeles Carpet Cleaning .us provides immediate emergency service in the event of water damage. Our emergency crew is on call 24 hours a day, 7 days a week.